Baby Junior Race is open for registration! 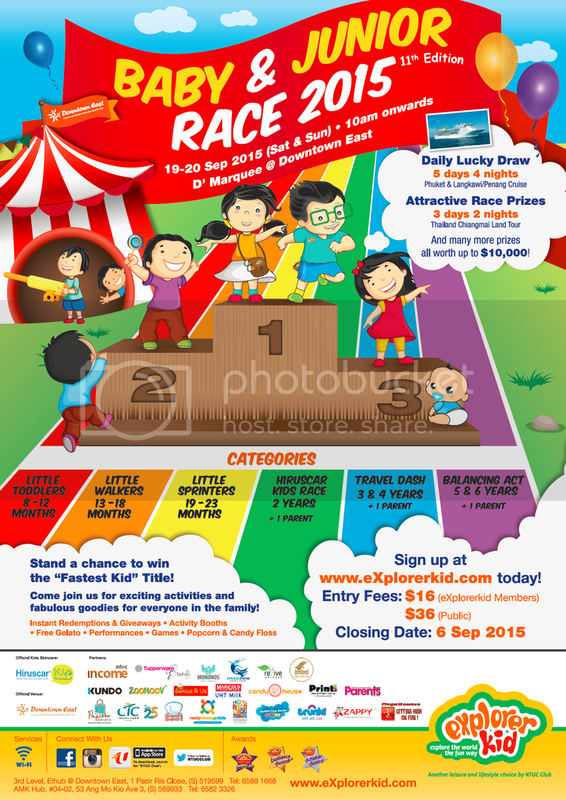 Join eXplorerkid’s 11th edition of Baby & Junior Race 2015 for exciting activities and fabulous goodies for everyone in the family! Not forgetting the chance for your child to win the ‘Fastest Kid’ title!